These aren’t going to win us any cooking awards this year or anytime soon, but hopefully these ideas might help you in a pinch when you’re looking for something to put out before dinner. 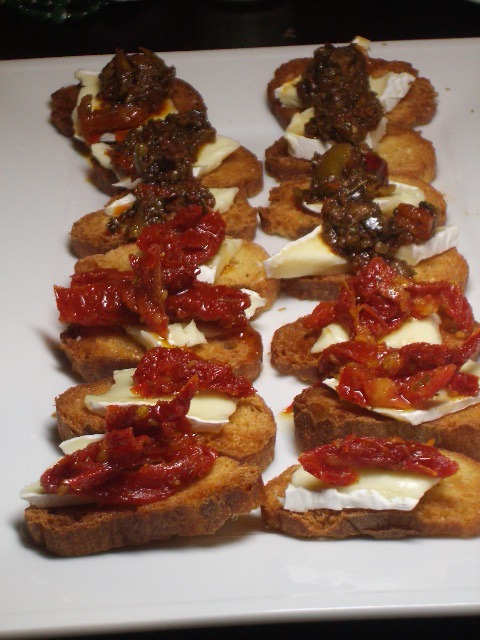 Spread the goat cheese over the bread, divy up the tapenade and tomatoes, lay them out on a serving tray and ENJOY! 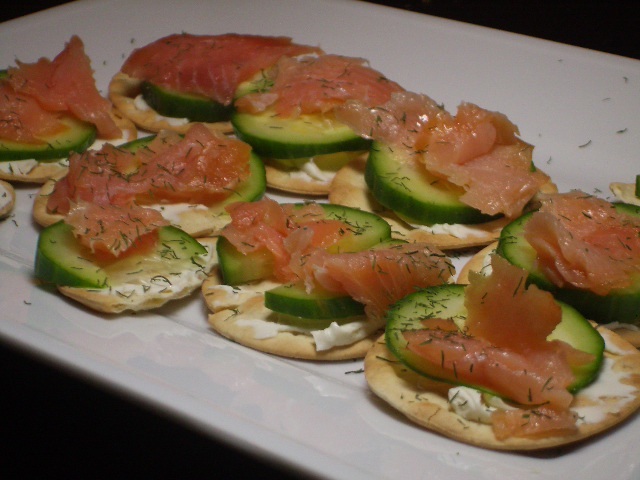 Spread the cream cheese on the crackers, cover with cucumber, then smoked salmon. Arrange on a tray and sprinkle with the dill. ENJOY!